Actor Karthi, who was last seen in ‘Dev’, had recently wrapped up the shooting of his next film ‘Kaidhi’, directed by Lokesh Kanagaraj. He is currently shooting with ‘Remo’ director Bakkiyaraj Kannan for his next. Tollywood sensation Rashmika Mandanna will be playing the female lead in the movie. Meanwhile, here’s a rocking addition to the cast of the movie. Our close sources now confirm that Garuda Ram, who played a prominent role in Yash’s ‘KGF’ has been roped in to play a crucial role in this movie. 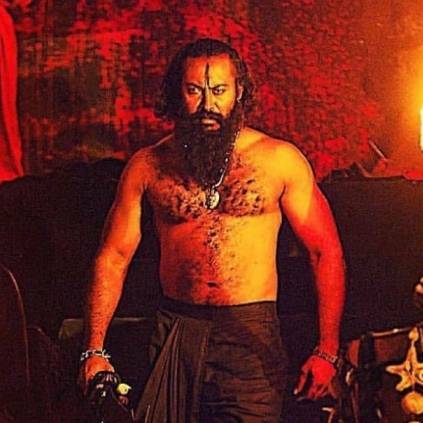 His performance as the villain in ‘KGF: Chapter 1’ had won a lot of applause from the audience. Garuda Ram is said to play the antagonist opposite Karthi. He is yet to start filming his portions for the movie and is expected to join the team soon. His addition to the cast has indeed kicked up the excitement to new heights. This yet-to-be-titled film has music by Vivek-Merwin duo and cinematography by Sathyan Sooryan, while Anthony Ruben has handled the cuts. The project is bankrolled by S.R.Prabhu and S.R.Prakashbabu under the banner Dream Warrior Pictures. Stay tuned for more updates on this biggie. People looking for online information on Bakkiyaraj Kannan, Garuda Ram, Karthi, Karthi19, Rashmika Mandanna will find this news story useful.